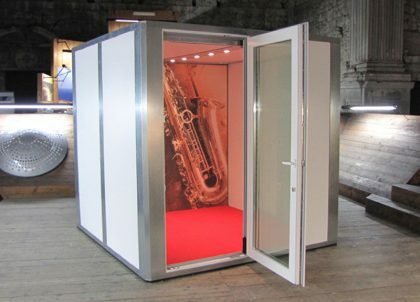 During a conversation between John Locke and the Headmaster, David Ward, at an Education conference in March, David learned that AAS were about to launch a “budget price” modular music room with B-BENG, that could be built pretty well anywhere. 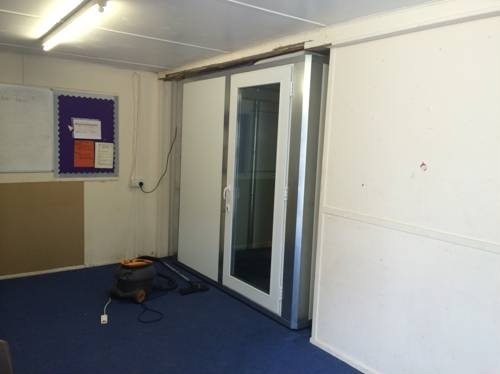 As the music department was expanding, all spare space had to be utilized and the Headmaster had identified some under-utilized space; just before summer closure a decision was taken to order 1 No: M-Pod® “for installation into a temporary building”. 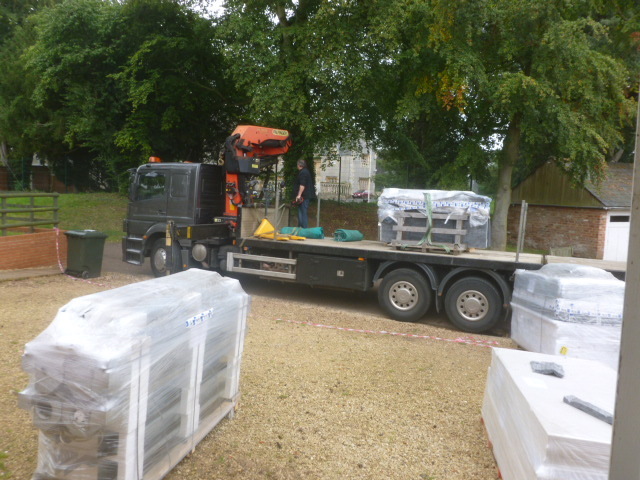 However, we had to ensure that it was in-situ by the start of the new academic year and with only a few free days remaining we agreed to deliver and install over two days; the 1st and 2nd of September. 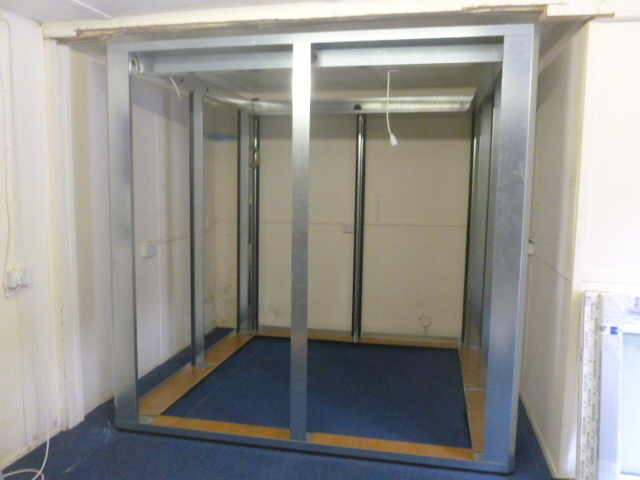 There was no time for anyone from AAS to get to Bredon until a few days before; however David and his Clerk Of Works, Chris Iddles had measured the space and had assured us that a 2.3 x 2.3 x 2.23 (height) room would fit. Just to be on the safe side – and on the only free day for several weeks – a site visit was undertaken on the 29th of August. During this time we met, or at least became acquainted with, the school mascot – a “tree-sculpture” capturing the beauty & majesty of a seahorse; with hints of a dragon!! The temporary building very usefully had hard standing right outside, so nice and convenient for our off-load and secure standing. 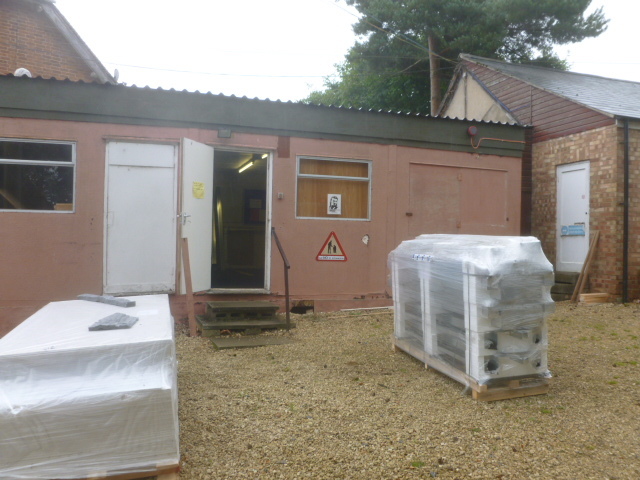 The temporary building in the background was to be the location for our M-Pod®. 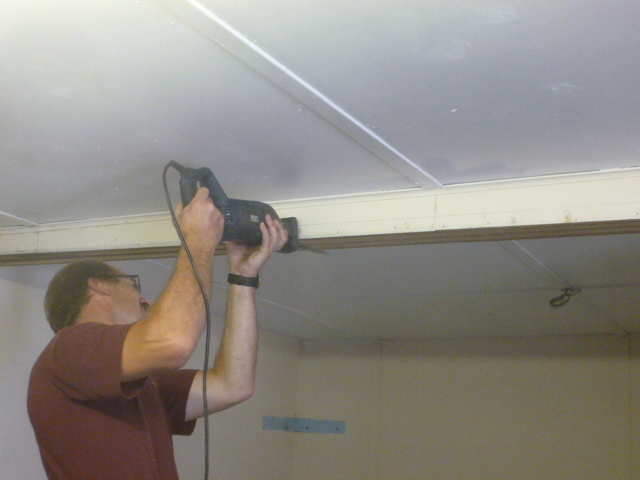 Now our job began of installing the M-Pod®. 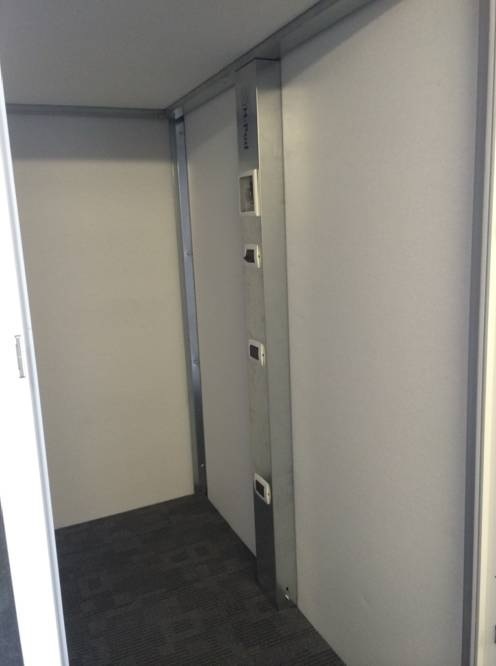 Even though the M-Pod®is 2.23m in height we actually need 2.4m of free height in order to insert the ceiling. 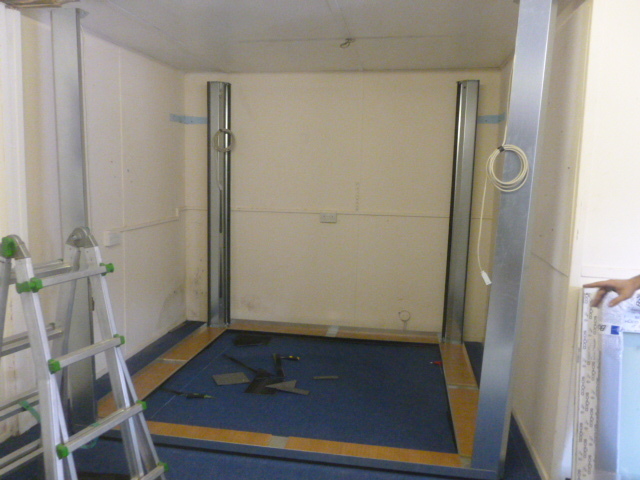 Permission was given to remove part of the non load-bearing structure. By late morning the perimeter floor, corner posts and cross members we installed and secured. By late afternoon the complete skeleton was in place ready to receive the walls, ceiling and door. By midday on the second day we were ready to hand over the completed room, ready to be used by the first of many pupils for drum lessons. 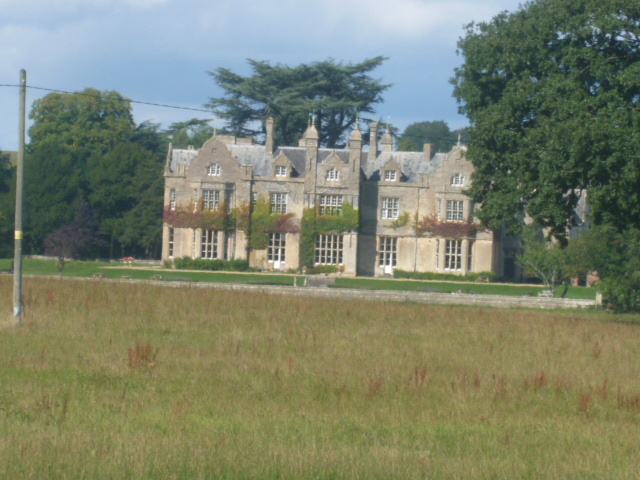 Many thanks to Bredon School for featuring in our Case Study. 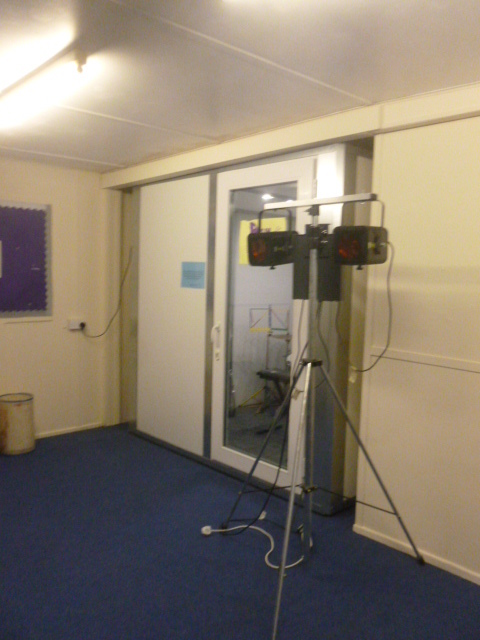 Commenting on the finished product, Headmaster David Ward said 'be assured we are delighted with the M-Pod®'. He went onto say that he felt that one or two 'tweaks' to our interior design would be a good idea. He felt that 'little fingers' might mark the acoustic fibre that forms the wall structure on the interior. 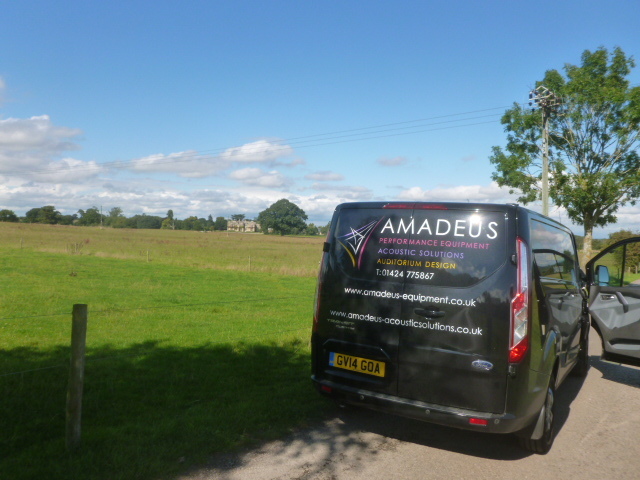 In response AMADEUS are sourcing a thin polycarbonate (or similar) to apply from the finished floor to half way up the walls.